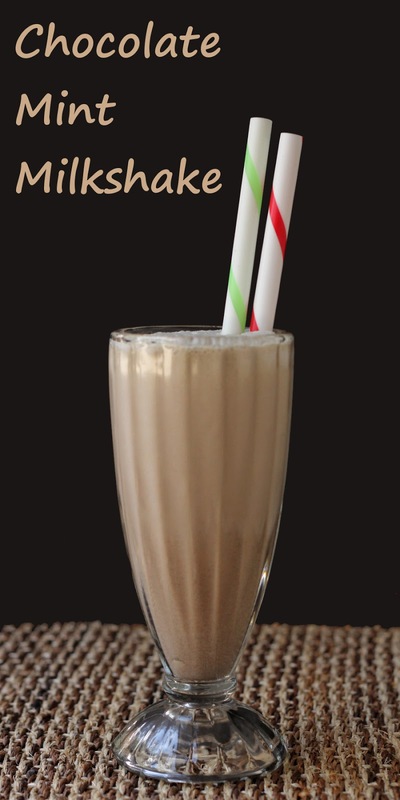 September 12 is Chocolate Milkshake Day. Are you prepared? I got a little added incentive to whip up a milkshake this year because the nice folks at Branca made me an offer I couldn't refuse. And that included a bottle of their Brancamenta, a mint-flavored liqueur. I'm a huge fan of chocolate and mint. Of course I wanted those flavors in a shake. But before I started, I had to try the liqueur on its own. Unlike other super-sweet or one-note mint liqueurs, this one is pretty complex, with herby-spicy notes along with the mint. It was really nice over ice after dinner, and I'm looking forward to mixing it into cocktails. I started the shake with a home made chocolate ice cream, but your favorite store-bought brand would be just fine, too. To add a little texture to the shake, I added some cookies, as well. I used mint-filled Oreos, but when they're in season, Girl Scout cookies would be great. Or any other mint cookie you like. Or, if you don't happen to have mint cookies hanging around, chocolate cookies would work. The Brancamenta has enough mint flavor, so you don't really need to add more mint. Toss everything into your blender and blend until it reaches the consistency you like. If it's too thick, add a little extra milk to thin it out. If it's too thin, go right ahead and add more ice cream. I won't tell. If you like, you can garnish with a dollop of whipped cream, but I didn't think this needed any embellishment at all. Serve immediately.Slurp, slurp. Ahhhhhh. Now make one for everyone else! Thanks to Braca for sponsoring this post.